The hurricane season has been particularly harsh in 2017. It’s been awful to see the destruction of these storms rolling through the Eastern Caribbean islands and up into the southeastern United States. We are so lucky that Roatan is a Caribbean island safe from hurricanes. I get this question a lot generally, but especially lately, given all the news surrounding Hurricane Irma and Hurricane Maria. Both were devastating to so many other Caribbean islands. If you are willing and able, I encourage you to donate to the many amazing organizations working hard to help these islanders recover from the damages. Given our location, we’re fairly safe from direct hurricane hits here in Roatan. While that doesn’t mean we never get hit or that we never have to worry, we are very lucky and are one of very few Caribbean islands generally safe from the annual hurricane season. Why is Roatan Safe From Hurricanes? Roatan is located in the western Caribbean, just off the northern coast of Honduras. This location offers us protection from the main hurricane belt of the Eastern Caribbean. Typical hurricanes develop and strengthen in the Atlantic Ocean and head west toward the Caribbean islands and the southeastern United States. Occasionally those same hurricanes come as far west and south as the Yucatan Peninsula in Mexico. More often, they hit Florida – well north of Roatan island. Roatan occasionally gets the outskirts of a hurricane or tropical storm, with some rain and wind causing a little bit of bad weather for us. 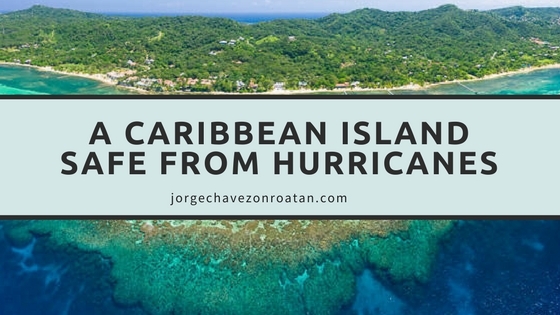 But, luckily, it is very rare that a hurricane directly hits Roatan. Our most protective feature, however, is our fringing barrier reef. The Mesoamerican Barrier Reef is the second-largest in the world and protects our island from most damage. We are very lucky in that respect, especially since surge waters are typically the most deadly aspect of a hurricane. 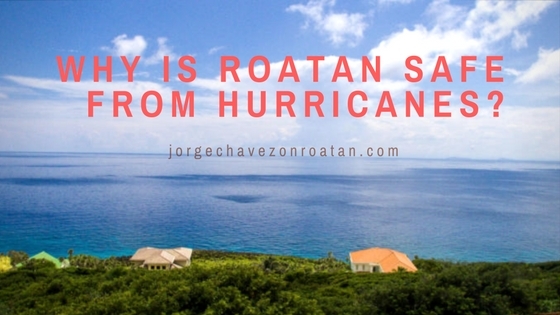 Roatan is safe from hurricanes on a general basis. The last major direct hit that Honduras suffered was Hurricane Mitch in 1998. Statistically, hurricanes hit Honduras directly once every 25 years or so. That allows us the liberty of breathing easier throughout every hurricane season. While other Caribbean islands have to worry every summer into autumn, we tend not to notice too many weather changes this far west. The only hurricanes we keep a very close watch for are those forming off the north coast of South America. When those do form, we are still pretty lucky, as they tend not to come to our island directly. The mainland can get a harder hit, but then once a hurricane goes over land for an extended period of time, it loses strength and tends to fade. 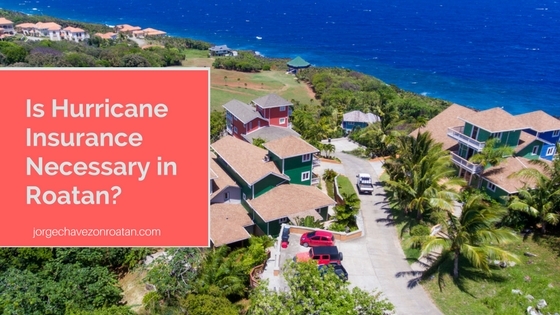 Is Hurricane Insurance Necessary in Roatan? This is a common question I get as a follow-up to the general hurricane preparedness of our island. Again, generally speaking, Roatan is a fairly safe Caribbean island in terms of hurricane damage. However, that doesn’t mean that you should just ignore the potential of a storm hitting our island. In terms of insurance requirements and recommendations, your home location and building type will determine the types of insurance you might need. Flood insurance is obviously more likely for waterfront homes than for hilltop homes. General comprehensive plans might include hurricane insurance, but be sure to check for yourself. On a case-by-case basis, you can look into your options and needs. No insurance is compulsory in Honduras, but it’s a good idea to be prepared and to have your own coverage. I’m always happy to advise based on your specific situation. Feel free to reach out anytime to ask me more about life in Roatan. I’m happy to talk real estate, moving to the island, and the logistics of life in paradise.